AV CABO ROIG is a company dedicated to the construction and Real Estate promotion in Orihuela Costa and Torrevieja. 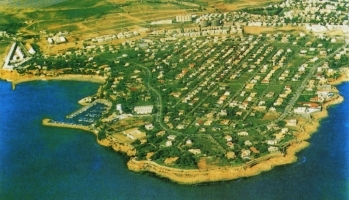 Our history begins since 1970 when its founder Asensio Vicente Gracia starts his activity in Cabo Roig, where he has influenced in its current prestige, building the majority of its properties and shaping the character that nowadays it has, thanks to the creation of a noticeably mediterranean style, obtaining the Commercial Prestige Award in 1988. With a vision and a proposal of clear values: build with the highest quality, putting passion in every detail to offer an exclusive properties with character, provided with a environment with a lovely landscape architecture and lush vegetation, as is guaranteed by the 5000 properties constructed in the province of Alicante. At the present time our activity concentrates on sale of new properties and resales in Orihuela Costa, mainly Cabo Roig, and other coastal areas like Torrevieja and inland; rural properties and fincas. Being true to these values of family vocation and entrepreneurial spirit, we offer to our clients experience, seriousness, commitment and trust, with personal and direct attention, and a management adapted to their particular needs; based on our indepth knowledge of the real estate market, as well as the legal, administrative and financial matters, giving guarantee to our clients of a rentable and safe investment.